It is Bird week– A celebration of Australian birds! 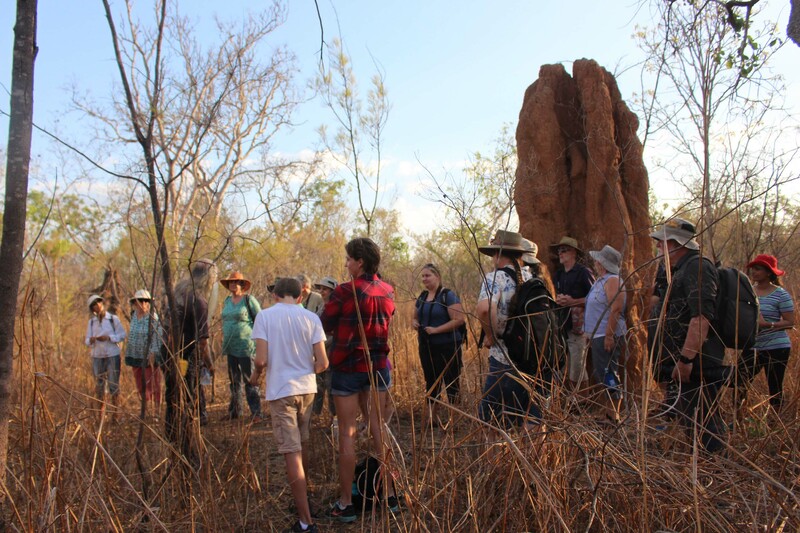 We are very privileged in The Top End to have some fantastic bird species and relative to elsewhere in Australia some very intact bird habitat. It is of great importance that areas are managed for wildlife, including the properties in our program. 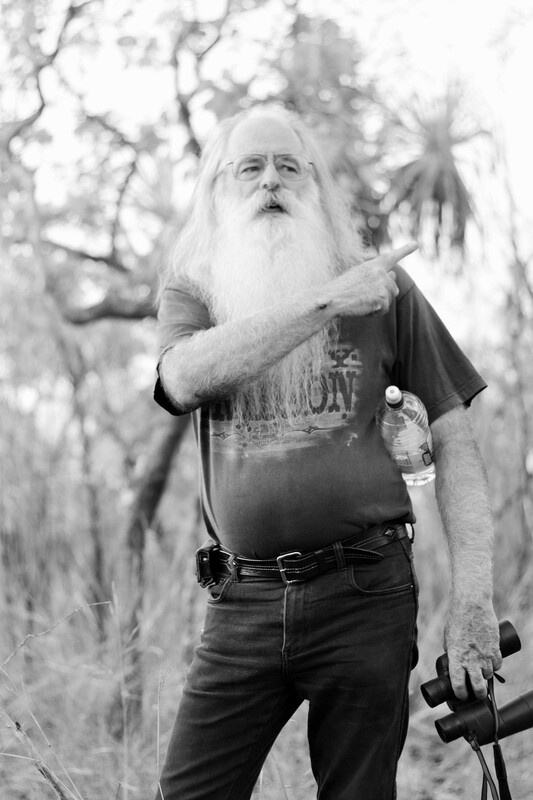 On Sunday Andrew Spiers kindly hosted a “Landholder’s Walk and Talk” with a focus on birds. 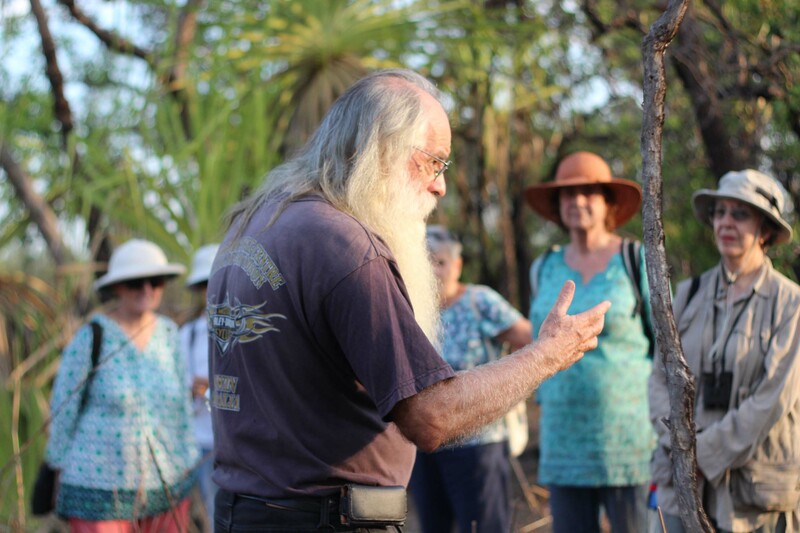 As well as being a Land for Wildlife member Andrew also teaches Conservation Land Management at Charles Darwin University and has some extensive knowledge about our landscapes and birds. 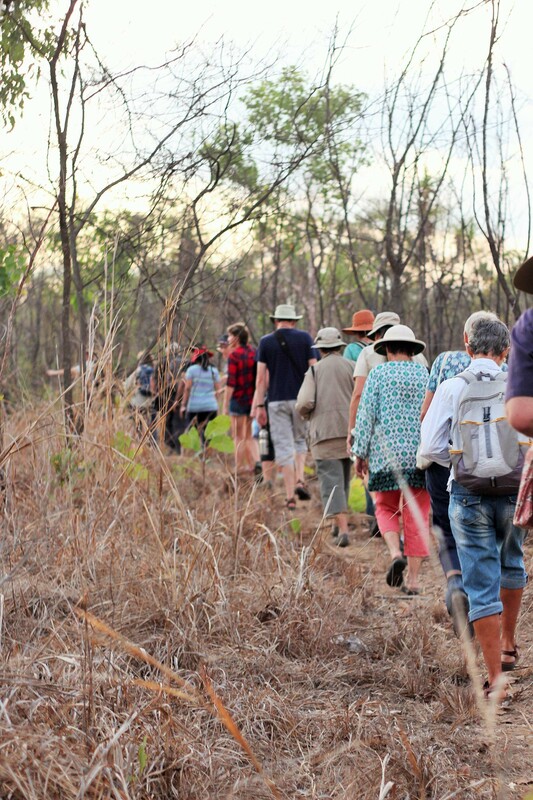 The walk and talk was at his wonderful Darwin River property that is on 200 hectares, with 18 interested others from Land for Wildlife and friends of. 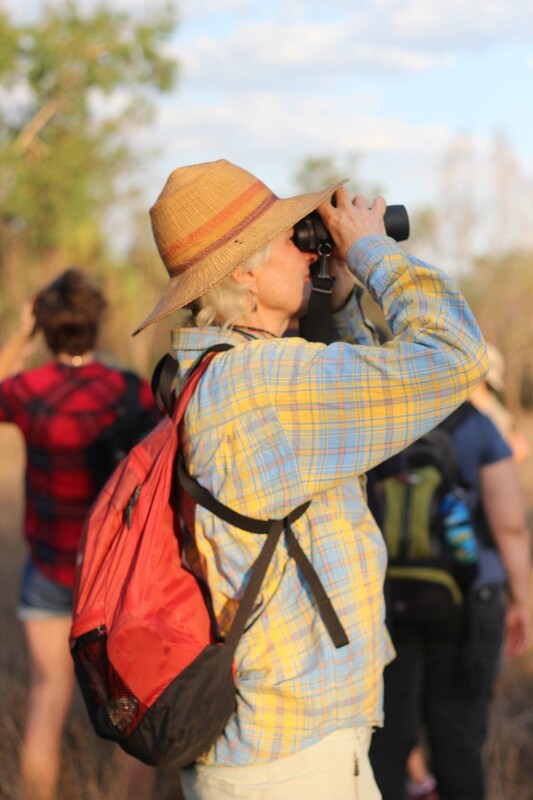 We looked at many different keys to birds and leant about observing landscapes over time. 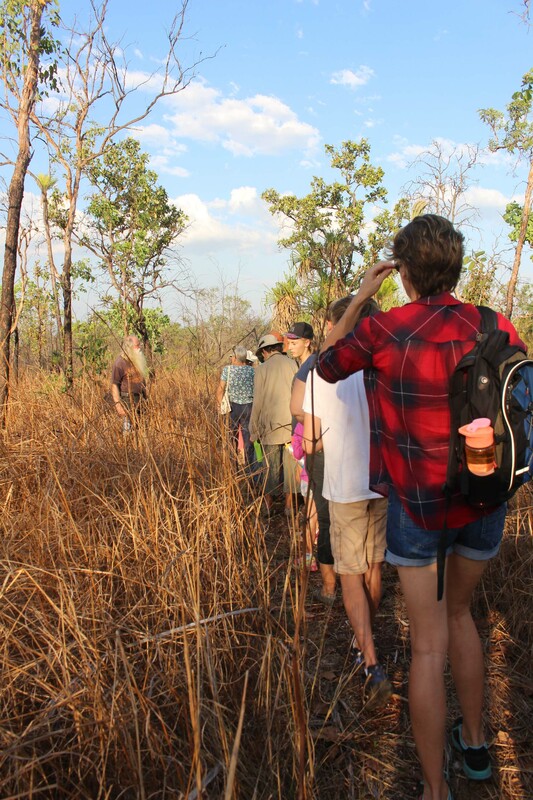 We had a great dusk walk across the flood plain to the Darwin River and learnt of the grand effects of fire on birds as well as many other interesting observations across the landscape, including termite activity, the interaction of wildlife, plants as food sources and river flows. Fire can be a devastating factor for birds as it destroys the flowers and or fruit and in many cases the whole plant and its able to flower or fruit completely, or for a year or more depending on intensity. These flowers or fruit are very often the food source for many bird species. 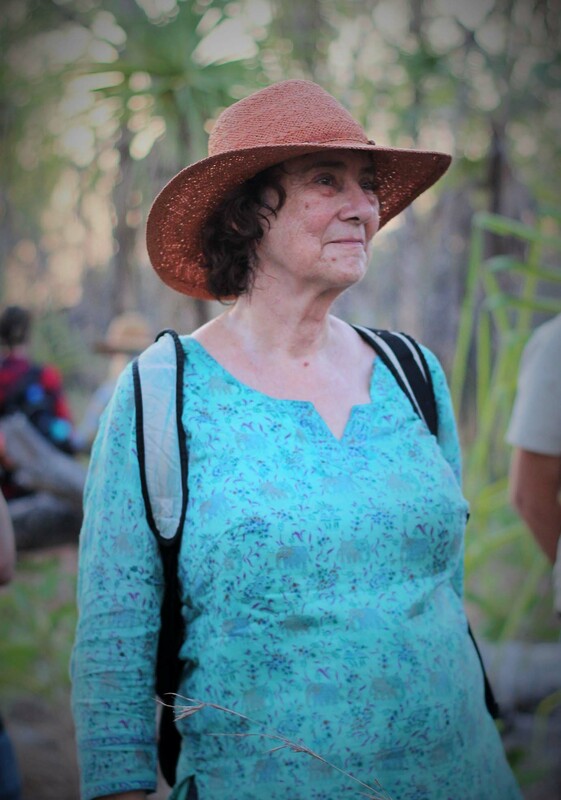 Andrew’s land was an example of this as some uncontrolled hot fires, that had come in from a neighbouring property had taken out hundreds, if not thousands of Grevillea pteridifolia ( The fern leaved Grevillea) which are a food source for many honey eaters and small birds. The recent fire had also knocked out many other plants and bird activity was lower than before and centred around the watered garden and the riverine vegetation. Andrew was a fascinating guide and his wife, Helen very hospitable. 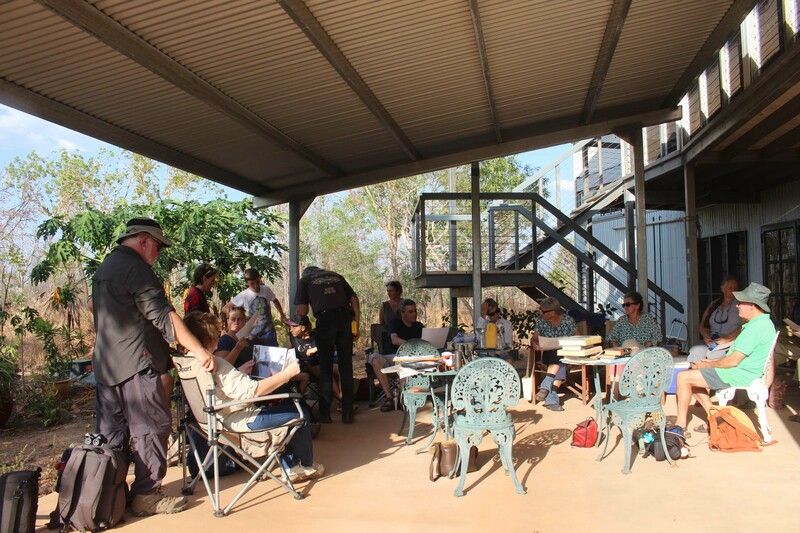 As well as seeing their incredible native landscape we also were invited to look around their house which they have designed and built for our climate with natural cooling features.